Salvage Wire are pleased to produce a generic power down process for high voltage electric and hybrid vehicles. It’s always best to follow the OEM’s unique power down procedure when working on the HV system on any HEV or EV. However, below is a very thorough and safe method that will work with most HEV/EV vehicles. 1. Turn off ignition/press “Power” ignition button. This will of course turn off vehicle and make the IP’s instrumentation go dark. 2. Remove the 12-volt (auxiliary) battery ground cable. This will keep the vehicle’s low voltage system from powering back up. It is important to do this AFTER the ignition has been switched off. 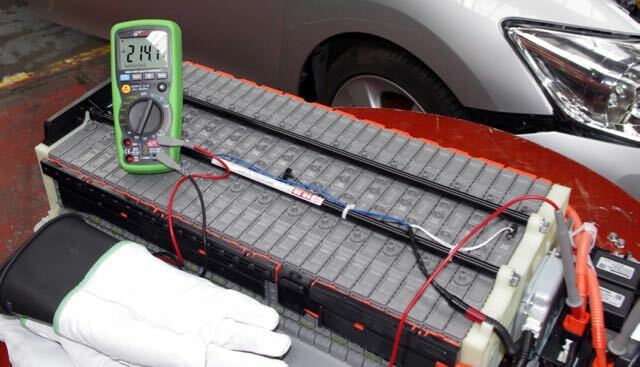 The DC-DC converter (doing the job of a conventional alternator to supply 14 volts) will work to power all the 12-volt components on the vehicle including the Hybrid ECUs that control HV operations such as keeping HV battery pack main relays closed. Even if the I.C.E. is not running, a powered up HEV will produce 14 volts with or without a 12-volt battery connected. Wait for at least 10 minutes to allow various capacitors and other components to fully discharge. 3. While wearing class 0/1,000 volt safety gloves, remove the vehicle’s HV battery pack service plug. On Honda and GM intermediate voltage B.A.S. systems, a switch must be turned to the “OFF” position to achieve the same condition as removing the service plug on other HEVs/EVs. 4. Wait 10 Minutes Before Proceeding with R&R. The 10 minute wait is for the vehicle’s HV capacitors to bleed down in case the normal capacitor discharge circuits are not functional. HEV High voltage capacitors can have enough current to cause injury or death should they discharge while you are servicing a Hybrid. The capacitors are connected in parallel and typically are located in the area of the power inverter. NEVER attempt to discharge one of these capacitors in the service bay. Electrical shock and burns may result. 5. 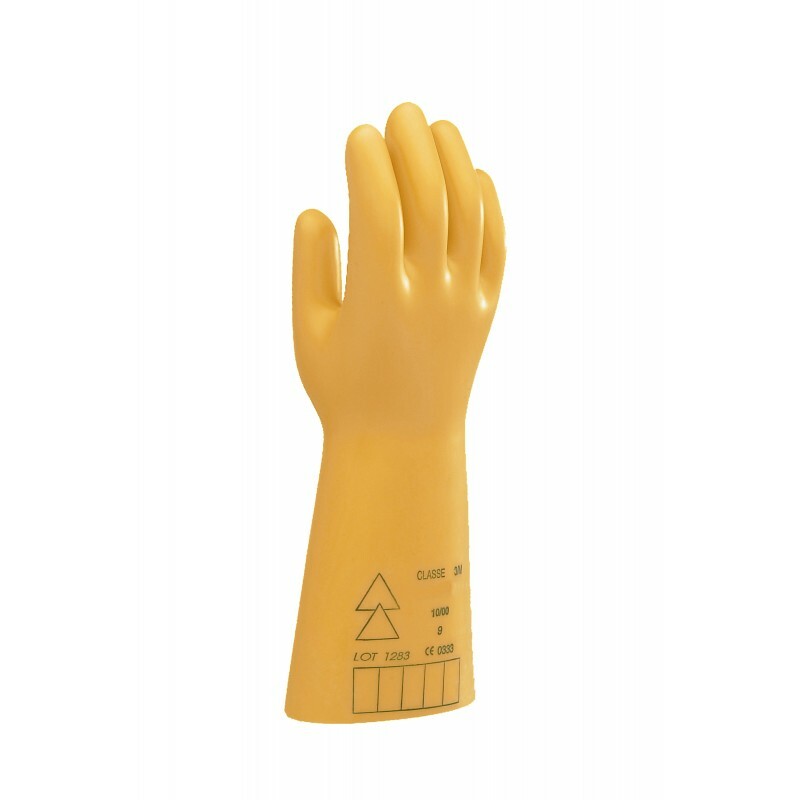 While wearing class 0/1,000 volt safety gloves check for High Voltage. Remove any cover/panel required to access the HV electrical component (i.e. the HV battery pack) connections. Using a CAT III/1,000 volt meter, test for any DC voltage between the two orange HV DC cables. be dead IF the service plug/switch was successfully removed/switched off. 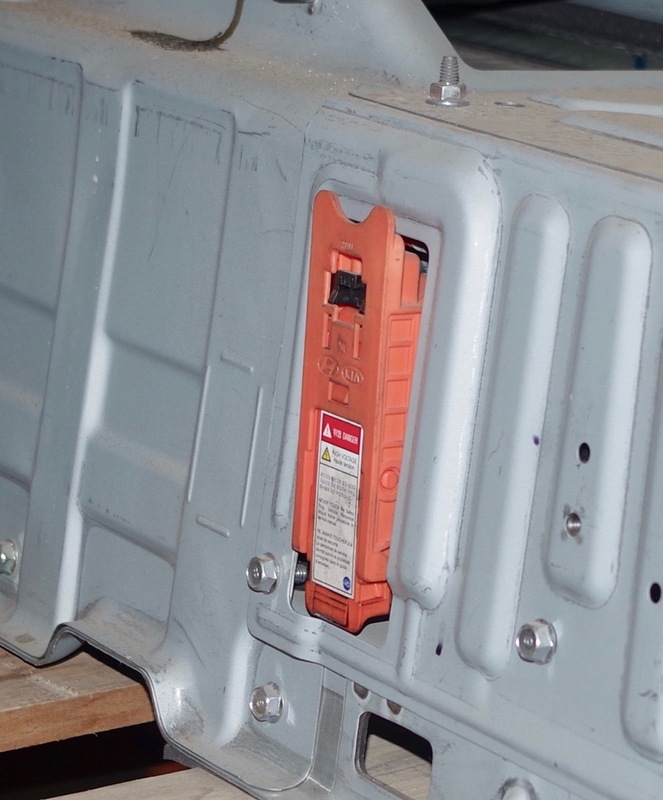 HV battery packs, regardless of their design and construction with their HV service plugs removed/switches turn to “OFF” will STILL contain high enough voltages within them to cause serious injury or death. Service plugs/switches ONLY cut the internal voltage of a HV battery pack in half. This means on most HEVs/EVs half of their normal voltage (330, 300, 271, 201, 144, etc.) is STILL over the 60 volt spec. for an electrical safety concern. 6. Perform required removal/replacement of HV components being salvaged or serviced. Note: With the exception of the HV battery pack, hot and cumbersome class 0 safety gloves do NOT have to be worn at this time. Regular mechanic’s gloves (or bare hands) may be used to perform the remaining procedures of part removal. However, if the battery pack is being serviced/removed from the vehicle, class 0/1,000 volt gloves are still recommended due to the electrical energy still remaining in the HV battery pack. After a HV service plug is removed, place it in a secure place to prevent someone from reinserting it into the HV battery pack. 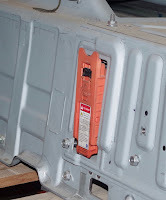 After the HV battery pack has been removed from the vehicle to be stored — made available for resale or remanufactured by a rebuilder — apply heavy duty tape across the service plug’s connector opening and tape/tie the service plug to the other end of the battery pack. These steps will help prevent the plug from being reinserted into the connection by an untrained person and help prevent the service plug from being lost or damaged during shipping. Service plugs can be very expensive on certain HEVs/EVs. Teaching and training vehicle recyclers how to safely handle and dismantle high voltage vehicles is one thing, but how different is every day driving when you run one of these vehicles, how does it change your driving style and journey planning? I have just reached two and a half years of ownership of a plug-in hybrid vehicle. Let me answer the major question first - would I purchase another plug-in hybrid vehicle? Yes, absolutely I would. will replace my Vauxhall Ampera, and love the look of the new Jaguar I-Pace and the Audi E-Tron, and if these fit my normal use then I will choose one of them! For years I just jumped into my car and drove to where I wanted to go, done what I wanted and then drove back home, stopping as needed to put petrol or diesel into the tank and food and drink into the driver and passengers, but the last two years of driving a plug-in hybrid (PHEV) has changed everything! One of these vehicles changes how you drive, makes you plan your journey, and alters where you go, and as sales of alternative fuelled vehicle in the UK increased by 34% during 2017 more owners and drivers are having to change how they use their vehicles. Ability to drive short distances on electric power alone, saving a lot of money on the daily commute, shopping trips and children’s taxi rides. Performance from a standing start is awesome because the electric motors produce instant torque, which means immediate acceleration. 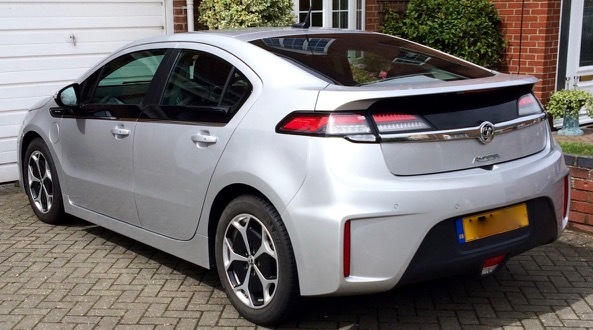 My car is a Vauxhall Ampera, the UK version of the Chevrolet Volt. It is a ‘range extender’ vehicle, which means that the vehicle is driven by the electric motors and once the battery has lost power an internal combustion engine then drives a generator that provides power to the vehicle. As it is an older design it doesn’t have some of the sophisticated systems on much newer vehicles, so it does lack a rapid charging facility which rules out some of the high powered chargers in motorway service stations and some shopping centre car parks. Unfortunately, GM Europe decided not to import the second generation Volt to Europe so we will not see the advances that GM built into the vehicle. I love my car, the performance, how it drives, and also how rare the vehicle is - there are only 1265 currently in use on UK roads (howmanyleft.co.uk) which means that it is far rarer than a Ferrari! It changes how I drive - outstanding performance aside, I am constantly looking ahead and watching what other drivers are doing. The Ampera, in a similar manner to almost all other hybrid and full electric vehicles has regenerative braking. This means that it could be almost a ‘single pedal’ vehicle. Regenerative braking is where the electric motor becomes a generator and whilst slowing the vehicle down puts charge back into the vehicle batteries, so I can manage the speed of the car by using the accelerator and ‘regen’ braking and rarely touch the brake pedal. So far, I have covered over 80,000 miles and am still on the original brake pads; tyre wear is much decreased and my whole driving style is very smooth. There is one disadvantage however - the rear brakes get used very lightly, and it looks like I will have to replace the rear pads and discs before the fronts purely because they are corroding due to lack of use! It changes how I plan my journeys - whenever I attend meetings I always ask if there is a plug in charging point at the meeting location, if not, I look on-line to find out if there is a charging point nearby that I can use (the Zap Map app is very useful). Whilst the car is stationary it is not doing anything - if I can use the time to re-charge the car then this gives me an advantage! It changes where I go, having charge points at hotels is essential and I have been known to change hotel bookings because of the lack of a charge point! Again, this is one of the places where the vehicle stands still so it makes sense to charge it! At home I have a charge point fitted by Polar, this plugs directly into the car and charges overnight. My electricity supplier also fitted a ‘dual’ meter, so I can charge the vehicle overnight on a rate that is less than 50% of the normal day rate, which means a full charge that gives between 32 and 45 miles of range (weather and season dependent) costs around £1. My experience with the vehicle recycling community is that they are unprepared for these vehicles and the risks that they carry. 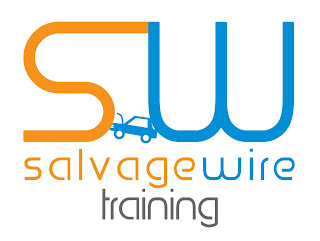 Vehicle recyclers can book me to train their staff on the safe handling of electric and hybrid vehicles, and we can also design a bespoke ‘best practice’ document for their business that details all actions required to safely handle these vehicles from initial request to collect right through to dismantling and disposal. 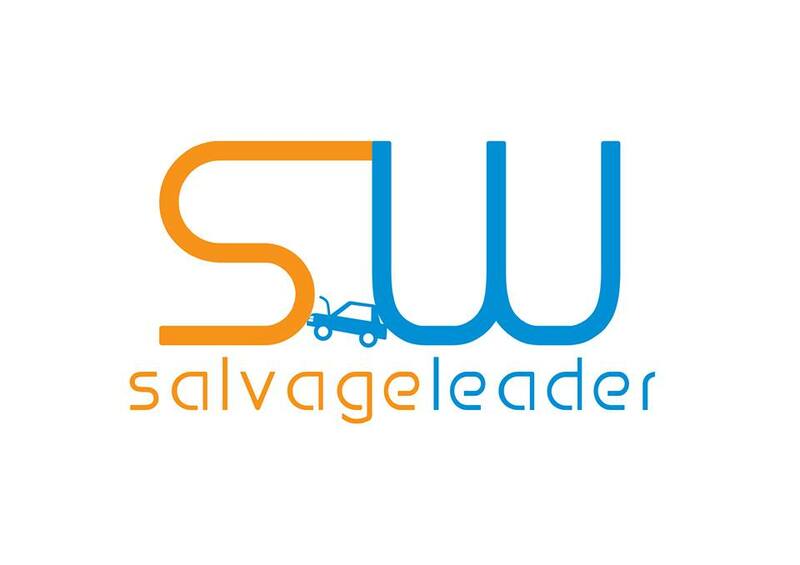 Vehicles are changing more rapidly now than they have ever changed before, advanced driver assistance systems, advanced vehicle structures, various types of hybrid and full electric vehicles and hydrogen power on the horizon, now is the time for leaders to come to the top of the global vehicle salvage and recycling industry. Every week we see announcements from vehicle manufacturers about new autonomous technology in their vehicles, light weighting, mild hybrid, full hybrid, electric and more. These vehicles are going to end up in a vehicle recycling yard very soon and vehicle recyclers need to have the knowledge and expertise to deal with them. Do the drivers collecting these vehicles know how to handle a partly burnt out, or flooded high voltage vehicle? What about storing and dismantling these vehicles, how do you make them safe? Many salvage vehicles are sold as repairable units and in some cases these vehicles will be repaired by the salvage companies - do they have the expertise to safely and adequately repair the very advanced structures that vehicles are now built of? Ultra High Strength Steel, Aluminium, Carbon Fibre , all require trained, skilled technicians, and access to researched repair methods to ensure adequate repair standards are achieved. Parts is a different animal altogether; advanced driver assistance systems are adding complexity and cost to vehicle repair, and the possibilities for vehicles recyclers are enormous if they can understand the opportunities available to them. Some of these items will also need to be calibrated after fitting to ensure correct operation, so in addition to opportunities to sell the costly items highlighted, recyclers that offer a calibration service will be ahead of the competition and able to attract more customers and increase their revenue with these additional services. All requires more investment in training and equipment, plus a business plan that attracts, rewards and retains the talented people in any business. Are you the leader who can rise above the current standard by making your business the first choice for employees and customers in your area? Attracting and retaining talented staff is one of your most important attributes as talented staff help your business grow by offering better quality service to your customers, by going the extra mile to achieve sales, by giving your customers the choice to tell their customers, their friends and colleagues all about your company and your talented employees and come back again. Opportunities are out there for younger people to come into the industry, but they need the leadership, guidance and mentoring that true leaders can give. For too long this industry has achieved the stereotypical image of poor service, poor quality, ignorant or untrained staff and patchy supply levels; we all want to see this industry rise above that stereotypical image, become professional, quality businesses that supply the insurance, fleet and vehicle repair industries; businesses that have influence in local and national government, have the respect and support of local residents, and set the standards that shows how bad the illegal, unlicensed and un-compliant operators are - this is your time, your opportunity to make a difference and become a salvage leader.